Earier in the year he had recorded a town meeting to consider gas lighting for the town (9 February 1835) and shortly after, on 13 February, a meeting to elect a committee to oversee the project. JTS was made secretary of this undertaking and recorded subsequent milestones. 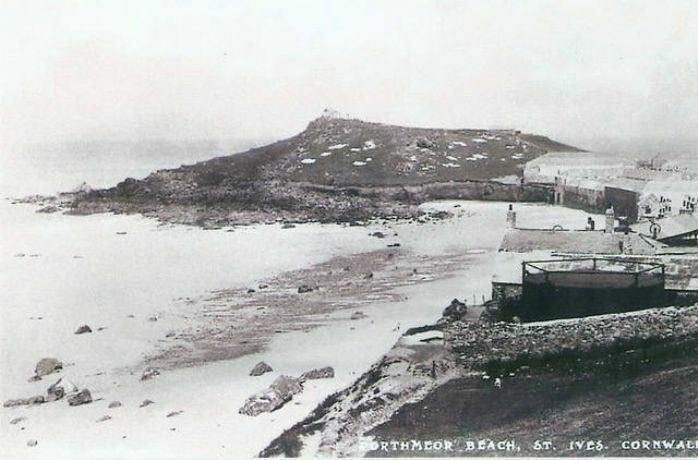 On 24 February the committee met to consider a petition to James Morrison for a plot of ground near Porthmeor Beach and on 17 March they met again and agreed to take the plot offered. They took possession on 2 April 1835. To pluck them from the sky. And light the World with gas! The identity of the poet is not recorded but his rhyming had little effect for by 21 December, just in time for Christmas, St Ives was lit up with gas. From first consideration to final execution and delivery the project to light St Ives with gas took about 11 months. 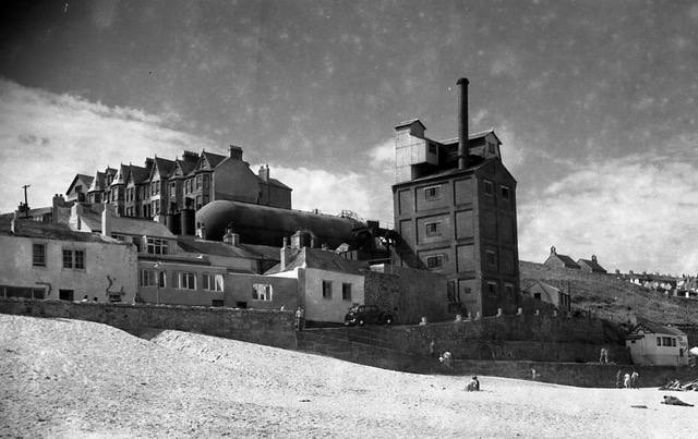 St Ives gas works c1938, the tall building is the 1933 retort house while the horizontal high pressure cylinder to supply Lelant and Carbis Bay can be seen just to the left. Few homes in St Ives were lit by gas and the works remained a small scale facility with coal being delivered to Smeaton's Pier, completed in 1831, and transported to the gas works by horse and cart. The works was enlarged in 1933 with the addition of a vertical retort house and a high pressure cylindrical gas holder dedicated to the supply as gas to Lelant and Carbis Bay. And so the works remained until demolition in 1958 following closure the year before. St Ives gas works, built in 11 months in 1835, is now the site of Tate St Ives, conceived and constructed over a somewhat longer time-scale and whose circular structure recalls its sulphurous predecessor.